Taking one of the wine tours from San Francisco to Napa or Sonoma is a great way to spend the day. 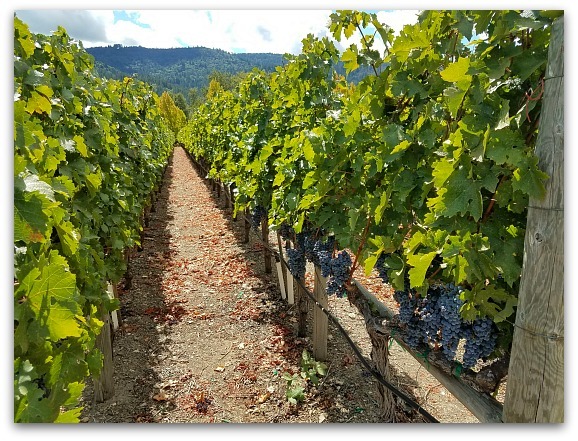 You have several options to visit these regions, ranging from a half-day bus tour to a helicopter tour over the beautiful Napa Valley vineyards. These two popular wine tasting regions are just over an hour north of the Golden Gate Bridge. Many tours pick you up at your hotel in San Francisco, stop at two to four wineries, and drop you back off at your pickup location. During each tour, you will sample local wines as you learn more about each one from your knowledgeable guide and a staff member of the winery. You will often get the chance to take a behind-the-scenes tour of at least one winery and a walk through their vineyard. Most tours will also stop so you can pick up lunch and enjoy it on the grounds of a selected winery. My favorite time to go wine tasting is during harvest, which is from mid-August to mid-October. The vineyards are gorgeous during this time of year, with both the leaves and grapes vibrant in color. In addition, the entire region is bustling with harvest-related activities. 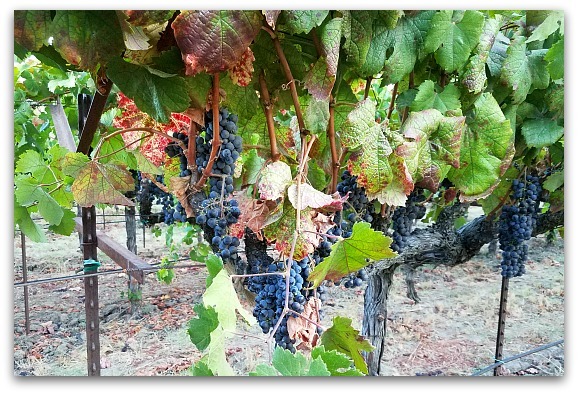 Though Napa and Sonoma are most colorful and active during harvest, there are advantages of taking one of the wine tours from San Francisco at other times of the year. This chart gives you some pros and cons of visiting during each season. Pros: The vines are in bloom, which gives you the chance to see the early stages of the cultivation. Cons: It's not a great time to take photos of the vineyards as the leaves are small and the grapes are not yet on the vines. Pros: The weather is warm and it's sunny almost every day. It's the perfect time to walk around the vineyards and spend some time outside sampling your wines. Cons: This is the busy season for visitors. The tasting rooms get crowded (especially on the weekends) and it's harder to move around (although most wine tours from San Francisco do their tastings in a private room, so this may not be a big issue). Pros: It's harvest time! The leaves and grapes are mature and colorful. It's the best time to take photos of the vineyards. You will also get the chance to see part of the wine-making process. Cons: This is the second busiest season for visitors and it's extra busy all around the region due to harvest. You may have to wait longer in line to sample wines and/or buy goodies in the stores. Pros: This is the perfect time to go if you don't want to battle the crowds. It's my second favorite time to visit since the tasting rooms are empty and most wineries offer a more personalized visit. Some even offer wine specials during this time to clear the way for their new releases. Cons: It's cool and rainy. The vines are brown with no leaves or grapes. It's not a great time to take photos or walk around the vineyards. Now that you know a little about what to expect each season, are you ready to sample some great California wines? Read on to find out about the best wine tours from San Francisco. 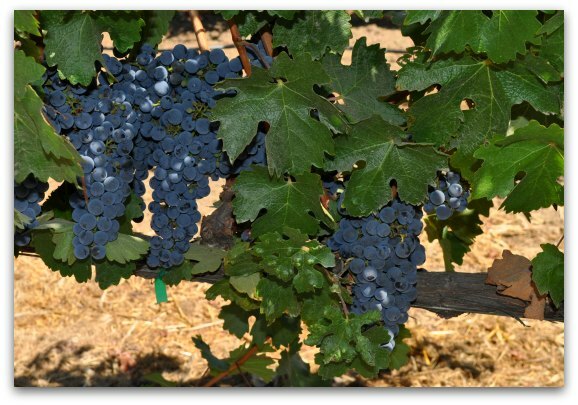 These are Merlot grapes from Napa Valley. I took this photo during a recent visit to the region in mid-September. By this time of the year, most of the red grapes are purple and blue and the white grapes are yellow or white. It's one of the best times of the year to photograph the vineyards. Taking one of these wine tours from San Francisco offers you the chance to sit back, relax and enjoy the experience. All include transportation to and from San Francisco as well as the chance to learn more about the popular Northern California wine tasting regions. For each below, I've estimated the length and price for each of these San Francisco wine tours. The time may change based on traffic, so plan for a little extra time for your return trip. This is a visitor favorite! This San Francisco wine tour takes you to both Napa Valley and Sonoma County wineries, so you get the chance to learn about both regions. This full-day trip includes a guided tour and tasting at three popular wineries. You will also have some time for lunch (not included in the price) and a walk around the beautiful town of Yountville in Napa or the Sonoma Plaza. Find availability for this tour and book your spot. This is another one of the most popular wine tours from San Francisco. You start your day with a visit to Muir Woods, where you can walk around and see the only Coastal Redwoods still left in the Bay Area. You will then continue north to visit three boutique Napa or Sonoma wineries. On this tour, you will have lunch on your own, usually in the historic Sonoma Plaza. The price to visit Muir Woods is not included, which is $10 per person. Find availability and book your spot. Do you want to select the wineries for your trip? If so, then this customizable tour might be the one for you. With your small group, you help decide which wineries to visit--up to six wineries in Napa & Sonoma. It's a great way to be sure to hit at least one of your top wineries without having to pay for a private tour. Find tickets for this semi-private tour. Bike the wine country roads around Dry Creek Valley, Napa Valley, or Russian River Valley (you decide when you book which one you want to visit). It's the best way to see the countryside from a completely different view. During this 5.5-hour ride (10 - 12 miles), you visit three or four wineries. You also get to enjoy a gourmet picnic lunch (included in the price) near one of the vineyards along the way. Bikes and helmets are included as well as water to drink as you ride around wine country. Find tickets for this biking and wine tasting tour. If you want to get the best views of Napa Valley, then hop aboard this helicopter for an unforgettable experience. This 3-hour tour starts with gorgeous views of SF and the Bay Area. It continues with a 30-minute ride up to Napa Valley. Here you will stop for a couple of hours at one winery for a private tour and some wine tasting. You will then take the helicopter back to SF. Find more details and availability for this tour. Your tour starts with a limo ride up to Sonoma for a sparkling wine tasting at Gloria Ferrer. You will then head to the Napa Valley Wine Train Culinary Arts Center for a private behind-the-scenes tour. Afterwards, you will be one of the first to hop aboard the wine train for a gourmet meal as you ride through the Napa Valley vineyards. Find tickets for the Napa Valley Wine Train tour from SF. *The price per person may change without prior notification. Please confirm pricing details before booking. Savings Tip: From time to time, you will find a few dates for some of these tours at up to 50% off on Goldstar. They don't offer this deal very often, but if you travel during times that are not as busy, you might be able to snag a tour at a great price. Before booking, make sure you check out the great deals for these and other tours on Goldstar.com. Should You Buy Wine Directly from the Winery? Many people believe that they get the best deal when they buy directly from the winery. This is not always true. Most wineries distribute all over the US and some even ship their wines around the world. The prices at your local wine shop are often comparable to what you will find at the winery itself. However, most wineries feature wines in their tasting room that you can not buy anywhere else. These sell at a higher price point, as they are typically a higher quality. If you love a certain wine, ask the winery a few questions before buying, including where you could find that particular wine in your local area. If they happen to sell it locally, it will save you the hassle of carrying or shipping your wine home. Should You Sign Up for Their Wine Club? If you really enjoy the wines from a specific winery and the wines are hard to find, then I recommend signing up for their wine club. This automates the process so you can receive more of their delicious wines each month or quarter. As a member, you are also often the first to receive new releases or limited production wines. 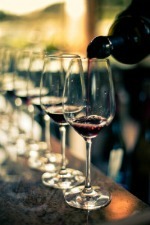 Most memberships include free tastings in their tasting rooms and discounts when you buy more wines online or in person. You will also receive invitations to their exclusive parties. Another great thing about these clubs is you can usually opt out after the first delivery. If you regret signing up after your visit, then simply call and tell them to cancel your membership. If you don't drink much wine or you don't have a great place to store it, then skip the wine club membership. You can always buy their wines online or contact them directly for a shipment. Is this your first trip to wine country? No problem, here are a few helpful hints to help you prepare. Eat Before Tasting: Eat a good breakfast before you leave your hotel so you are ready for a full day of tasting. Don't Wear Perfume: Leave the scent of your perfume and lotions at your hotel. This allows your nose (and others' noses!) to fully experience the beauty of each wine. Taste Like a Pro: Swirl, sniff, sip, and repeat to savor all of the aromas and flavors. Ask Questions: Don't be afraid to ask questions as the wineries LOVE talking about their wines. Enjoy your day: Wine tasting is a slow process so you can remember every moment, flavor, and wine. Take your time as you taste and savor the experience. Don't feel intimidated at all in wine country. People in Napa and Sonoma are very friendly and welcome both newcomers and seasoned tasters. They want to help with the process and love to give information to all tasters so they become more familiar with their wines. 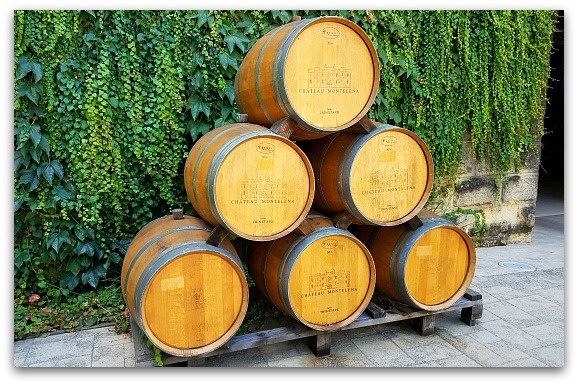 Are the guided wine tours from San Francisco not right for you? Would you rather set out on your own? It is easy to get to Napa or Sonoma for the day from San Francisco. Here are just a few tips if you plan on going on your own. Rent a Car in SF: Don't rent a car from the airport, wait until you get into San Francisco and rent your car there, just for the day. You really don't need a car in the city, but will need it if you head to up to Napa or Sonoma on your own. Just make sure you check how late the rental car company is open, since some close early certain nights of the week. Pick a Region: There are hundreds of wineries in northern California and it's not possible to visit all of them in one day. Select only one region--Napa, Sonoma Valley, Dry Creek Valley, etc.--and plan on visiting around four or five wineries during your trip. Schedule Appointments: Set up tasting tour appointments in advance. Most wineries have open tasting hours, but it's fun to learn a little more by setting up a tour. You can simply call a few wineries ahead of time or look on their sites to see if they have regularly scheduled visits. Get Recommendations: Ask others in the tasting room for recommendations. 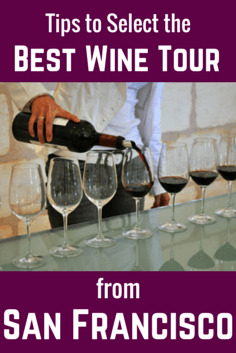 This is a fun way to learn about special tastings, winery events, and other wineries in a specific region that you must see. Return via the Golden Gate Bridge: Take the Golden Gate Bridge back to San Francisco. No matter which region you visit, you will want to plan your return trip to San Francisco using the Golden Gate Bridge. You will most likely hit rush hour traffic on the way home, and the best option is the Golden Gate Bridge. Hotel Deals: Would you love to stay the night in either Napa or Sonoma? Before you book, make sure to check out the great hotel deals on Booking.com. Click here to find deals in Napa. Click here to Sonoma hotel deals.